One of the most incredible things happened last week. 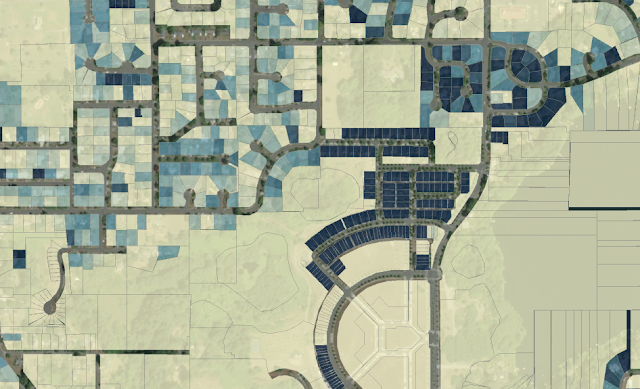 The Thurston County GeoData Center released a huge swath of datasets that had previously been prohibitively expensive to access. 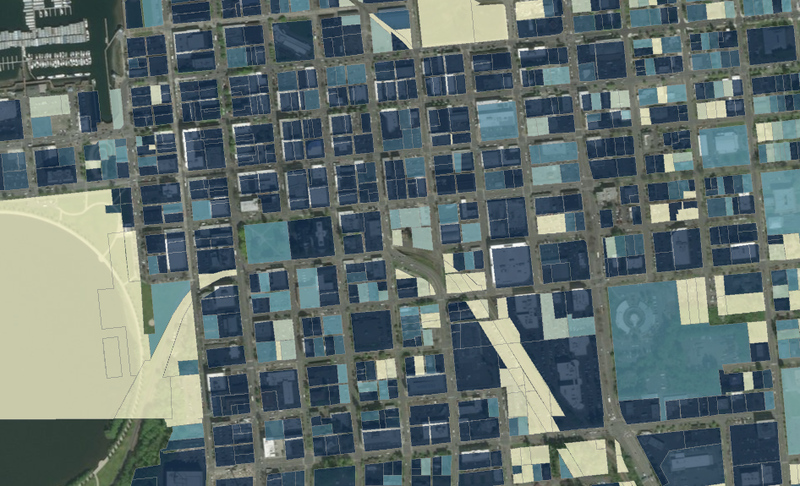 All the datasets are available to download, and if you have your own GIS application, you can play with them there. But with a few of the datasets, you can access and play with directly. 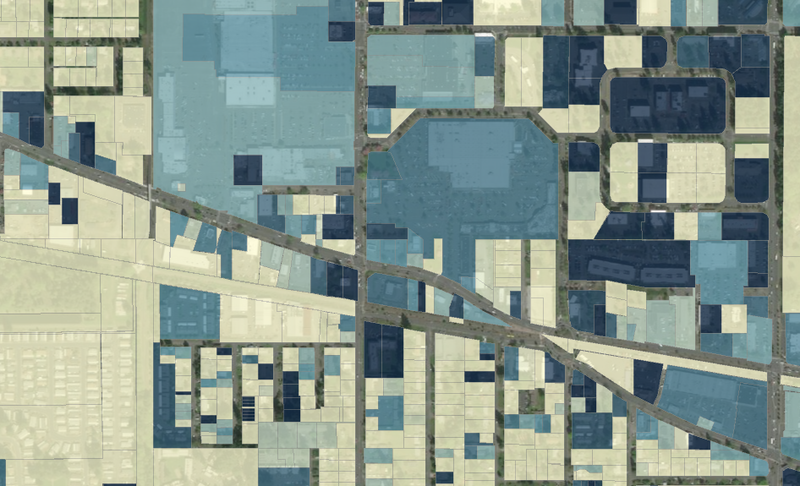 One of them is this dataset in particular that puts together a lot of information about parcels in Thurston County. Including total acreage and the total value of the parcel. By comparing value and acreage, you can really see where the most value is in terms of Thurston County neighborhoods. Downtown Olympia, seen here in mostly deep blue, is generally pretty valuable to the county's bottom line. 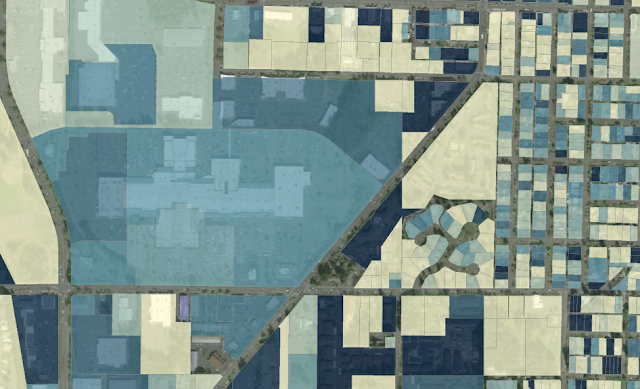 These tightly developed blocks are fairly consistently assessed at a high value. When you get out to the Capital Mall area, the colors become less pronounced. 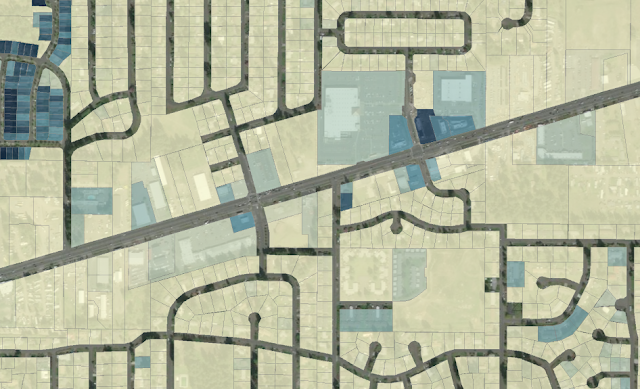 There are still a few deep blue parcels, but the mall itself is a lighter shade of blue and its surrounding commercial developments are getting yellow. When you get out on Martin Way, really the only highly valued property is one brand new commercial building. The same is in Southeast Olympia, where the highly valued properties are newer, nicer homes or actual newer "missing middle" townhomes. You see the same pattern in interior Lacey, where parking lot developments like the South Sound Mall and Fred Meyer are less highly valued than smaller parcels in Lacey's adjacent "downtown." I made a similar point earlier using anecdotal evidence comparing a downtown block with a similarly sized parcel on the Westside. When you make the same analysis using businesses next door to each other (but only in Tacoma, not Olympia), the result is the same. Traditional development is more productive than development that prioritizes car infrastructure. When you compare traditional, non-car centric, blocks to parking lot dominant commercial development, the traditional blocks are always more valuable. They provide more to the community. The video below points out that the blocks in downtown Olympia are a lot like the blocks that we've built in cities for thousands of years. These are the dense, easily walkable blocks that have only become rare in communities that were built in the last 60 years. Only newer cities like Lacey lack them at all.